How retailers can solidify their omni-channel strategies? The Omnichannel strategy is an arrangement between the retailer and customer, where neither of them lose and is a win-win situation for both. Asia has about 2 Billion internet consumers and the region is at a cusp of digital transformation. Over the next couple of years, the booming economy and changing consumer behavior presents a massiveopportunity, rather than a challenge. The Omnichannel strategy is an arrangement between the retailer and customer, where neither of them lose and is a win-win situation for both. This also provides an ultimate customer experience for customers and customer-insights for retailers. It’s no surprise then that today, Omnichannel in India is valued at $24 billion, and stands to influence $70 billion in sales by 2019. Here are three ways how a retailer can bank on their existing assets to leverage O2O. Stores: By treating stores as mini distribution centers, retailers can deliver true Omni-channel shopping to their customers. In addition to using store level inventory to ship orders to a customer’s home, it can also be deployed for click-and collect orders. With new fulfilment options enabled by the store, consumers can click, collect and return goods on their terms and at their convenience. Whether retail businesses like it or not, customers are demanding a combination of value, convenience and a unique experience. Brands who find the right balance between delivering great product value, superior customer experience and convenience would gain an edge over other brands or retailers. Omnichannel: A couple of years ago there was an inclination among retailers to build websites and mobile applications to reach out to more of their potential customers. This was followed by some retailers shifting to an online-only presence without having any physical stores since the customer was increasingly going ‘digital’. Running and managing offline stores were seen as expensive and time consuming.However today, retailers are realizing the need to go ‘Omni-channel’. 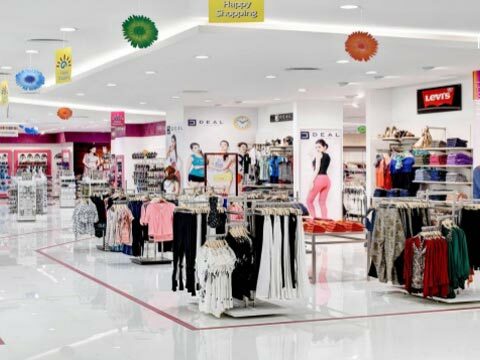 A physical store network is now considered to be as important as an extensive online presence, as retailers have realized the advantages of being present across multiple channels and touching base with customers in different ways. Besides being where the customer is, Omnichannel strategy helps in improving Customer Experience, Better access, Assistance in informed decision making, Loss of Sale Management, and in Acquiring new customers. OMS: The first step to Omnichannel adoption is the true case of order management system (OMS). While on one hand it’s imperative to be where the customer need you to be, it’s equally unpredictable where the customer is. To solve this riddle, the most efficient solution is OMS. Where the existing assets- offline stores, marketplace, and e-com portal presence are integrated for a seamless customer experience. While you turn your offline store to a mini distribution center, customers benefit from the single window view of the inventory. This will effectively increase the revenues and customer experience eventually leading to brand loyalty. Bringing stores into the distribution network can provide retailers with previously unattainable flexibility.Brands have been evolving and will continue to do so along with the booming economy and changing consumer behavior. Now the next logical course of action retailers will have to take is to turn their attention back onto the store as they seek to make the most of this relatively expensive asset.